I discovered the artwork of Faungraphic through Twitter! Thanks little bird! Faunagraphic was born in Blackburn Lancashire, grew up in Todmorden West Yorkshire. She is currently living near Sheffield… South Yorkshire. 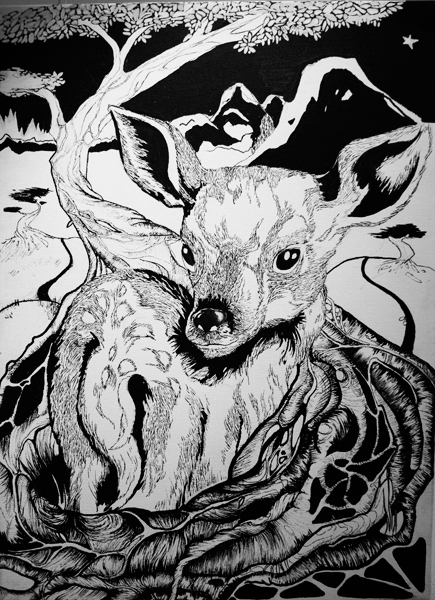 The story about her artist name is related to the fact she loves nature, and she is always captivated by it – from the mountains, to forests and all the nature that lives among it. She wanted a name to represent that, for her art, because it’s what she’s mostly inspired by. 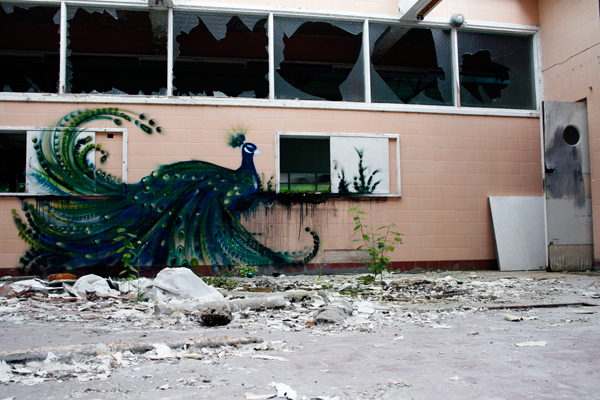 She started spraypainting almost 5 years ago, she took it year by year. In the 2nd year she started getting involved with Jams and events and then exhibitions and commissions followed shortly after. She started off in a shy manner, as she had little confidence. She made stencils in the beginning of flowers with her logo, swamped them everywhere then after 2 months of doing that she wanted to practice freehand as she wanted to have more control over what she painted. So she started sketching plans for walls and then she’d do local walls 3 times a week for the first 6 months! She was 18 years old when she created her piece, and frustrated! She worked alone for the first 7 months, then she began to learn about other writers. When she is not on the streets, she does a lot of photography, and she enjoys outdoor sports. She loves anything that gives an adrenaline rush or where you can explore. She has exhibited a few times in galleries in: London, Sheffield, Wobourn, Cyprus, and she would like to exhibit in more places like Australia, France, Italy… but there is plenty of time to do that hopefully. To promote her artwork, she uses her website www.faunagraphic.com and her Facebook account. She also add photos on FlickR! 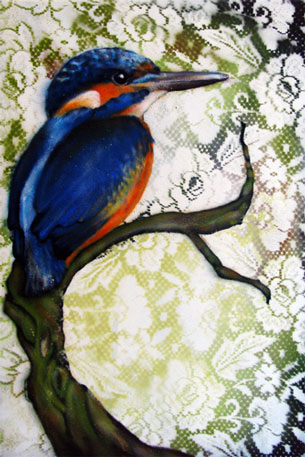 She paints canvas and surfaces which have been salvaged. She also likes to paint wood and metal. 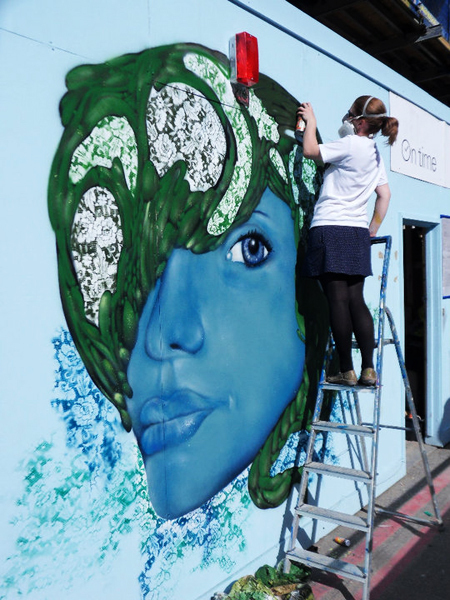 What and where was your first street art? 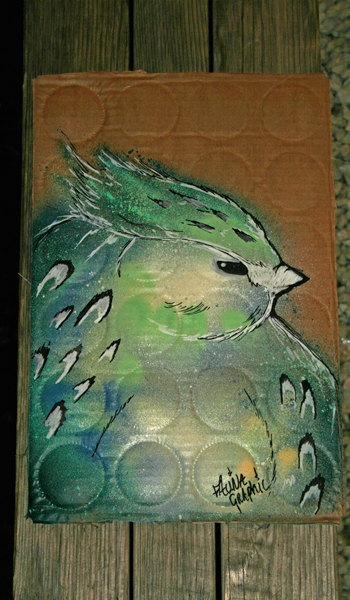 Her street art size is currently M, she’d like to make that XL this summer, hopefully she will get to some much bigger walls where she has more room to ruffle her feathers! She put around 90 pieces on walls, excluding commissions. And she created around 40+ canvas/artworks to sell. That’s not including all the live painting events and jams. She has painted in Belgium, Germany, France in 2 cities, Greece in 2 cities, Bulgaria in 2 cities, Australia in Adelaide, Cyprus, and all over the UK. This year she has plans to paint Miami, Orlando, Belgium and France (again) and Spain. And potentially another trip to paint Cyprus. She has some ideas about her newt graffiti piece… but she told us that she’s bad at planning… everything she has painted, has been thought up at the wall from quick sketches in her sketchbook. Do you work on “series”? 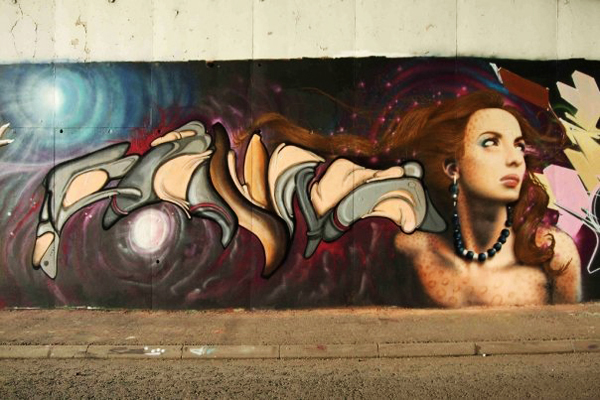 Huge letterstyles and realism, graphic colour… she enjoys the graffiti element the most. It’s great that spraypainting has created lots of forms… and she appreciates them all. She’s still learning about spraypainting, there is always much to learn about the technique. She likes walls the most, the walls in derelict places which have been neglected, but she also loves walls in the middle of the city where people can see and enjoy them. To work, she always brings spraypaint! J and emulsions! To paint, she needs anything from 30 minutes to 3 days! Depends what it is and how big. And whether its had permission to be there or not! Any tips you can tell us? To work she always brings music, earmuffs, fingerless gloves, tangerines, herbal tea, camera and video camera! And maybe a banana if it hasn’t gone black! Faunagraphic favorite colours are fresh green and olive green. She likes lots of types of music but she can’t listen to slow sad music… She find anything fun or nice like drum and bass and electronic or some hip hop. But she likes music back from the 70′s onwards also J. 3 things Faunagraphic loves: seeing baby animals, wildlife…, reading about ancient civilisations and ufos and swimming in warm ocean water. 3 things she hates in general: when people litter, when people judge others when they don’t know them and animal testing for cosmetic products. Portobello road. Hits off on the 3rd March! 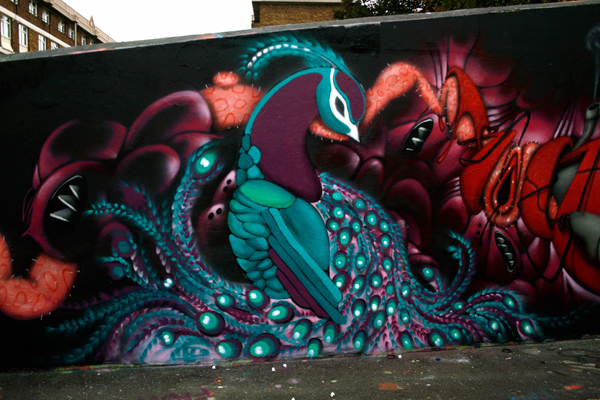 Some of Uks best street artists are going to be there! j’attend de voir ici !